Flint, Michigan voters will elect a mayor next week. The main issue in the election centers on the city's drinking water. Flint’s problem-plagued drinking water is expected to play a significant role in next week’s election for mayor. Flint residents have been complaining for more than a year about the quality of their city's drinking water. Next month, many voters say they will cast their votes for mayor with those problems in mind. 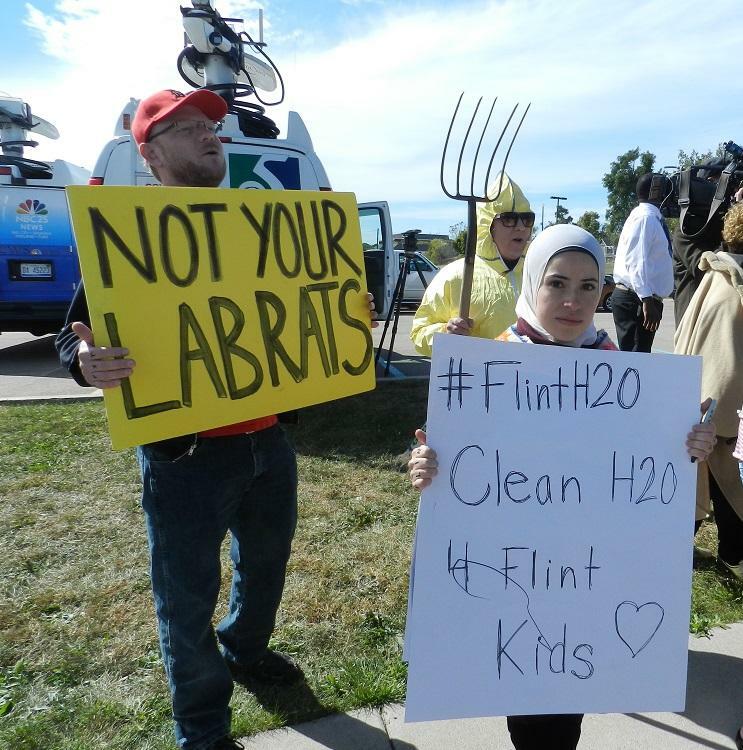 For more than a year, people in Flint have been holding protests about the city’s tap water. 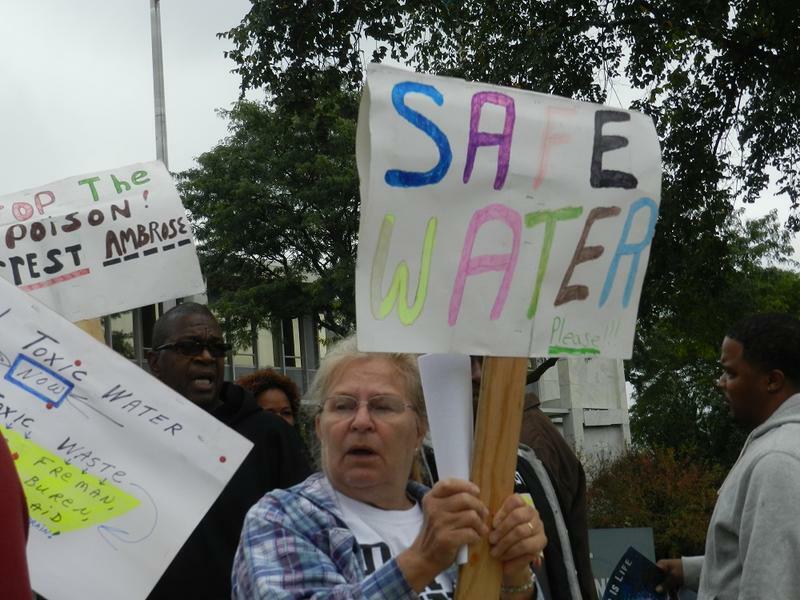 “There’s some people in Flint, Michigan who don’t believe this water is safe,” Pastor Alfred Harris told a crowd at one protest at Flint city hall a few months back. Along with complaints about rising lead levels and other problems, many have been calling for changes at city hall. “It’s time for us to stand up…speak up and tell this mayor to get out of town,” Pastor Alan Overton urged the crowd at that same rally. That’s not what a man running for re-election wants to hear. Dayne Walling has been Flint’s mayor for six years. He’s on the ballot again next week. 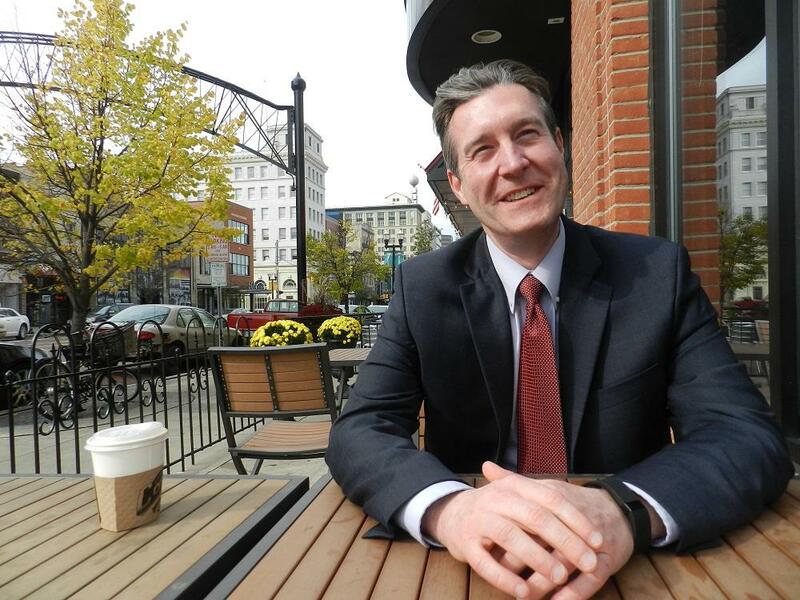 Flint Mayor Dayne Walling is seeking his third term. But complaints about the city's water may cost him votes in next week's election. It turns out it wasn’t. Walling now blames state and federal agencies for misleading him. Tests have shown high lead levels in the drinking water in some people’s homes and in the blood of many Flint children. Researchers believe the highly corrosive Flint River water is to blame. They claim the water is leeching lead from pipes. Walling says this issue is “personal” to him, since he and his family were among those in Flint drinking the water. He blames state appointed emergency managers for the switch to the Flint River. Mayor Walling says he’s pushing the governor’s office to come up with tens of millions of dollars to repair the damage done to the city’s pipes. But that might not be enough to convince Flint voters to separate Walling from the decision to switch away from Detroit water. Just down the street from city hall, a campaign worker for Walling’s opponent in next week’s election was recently busy working the phones. This is Karen Weaver’s first run for elected office. The Flint businesswoman emerged from a four person field to win a spot in next week’s general election. Flint’s water problems have become the main focus of her campaign to unseat Walling. Weaver says the mayor shouldn’t blame the city’s water problems exclusively on emergency managers appointed by the governor. Weaver says Walling has also failed to address the city’s crime and economic problems during his six years as mayor. Weaver says she will do things differently if voters elect her next week. For his part, Walling has repeatedly questioned Weaver's experience and her understanding of how government works. Walling defends his record on crime, pointing to a decline in overall crime and more investment in downtown Flint and in other parts of the city. Paul Rozycki is a professor emeritus at Mott Community College in Flint. The long-time local political scientist says, despite the many issues facing Flint, water is the issue on voters’ minds, and that’s not good for Mayor Walling. Earlier this month, Mayor Walling was the one to announce that Flint had reconnected to Detroit water. The switch took place less than two weeks after Walling stood next to Gov. Snyder to announce a $12 million dollar plan to disconnect the city’s drinking water from the Flint River. 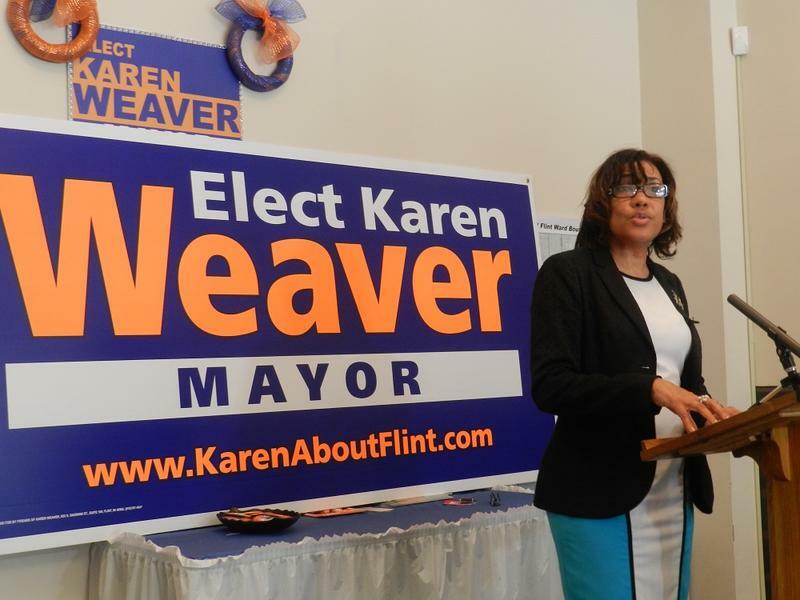 But challenger Karen Weaver hopes voters won’t forget the 18 month experiment with the Flint River and that it happened during Mayor Walling’s watch. Despite it all, Dayne Walling expects to win a third term as Flint mayor next week, though he predicts the election will be close. Already hundreds of people have voted absentee, many of whom made up their minds about the mayor’s race before the city switched back to Detroit water earlier this month. Last night’s mayoral debate in Flint included several personal attacks between the candidates. 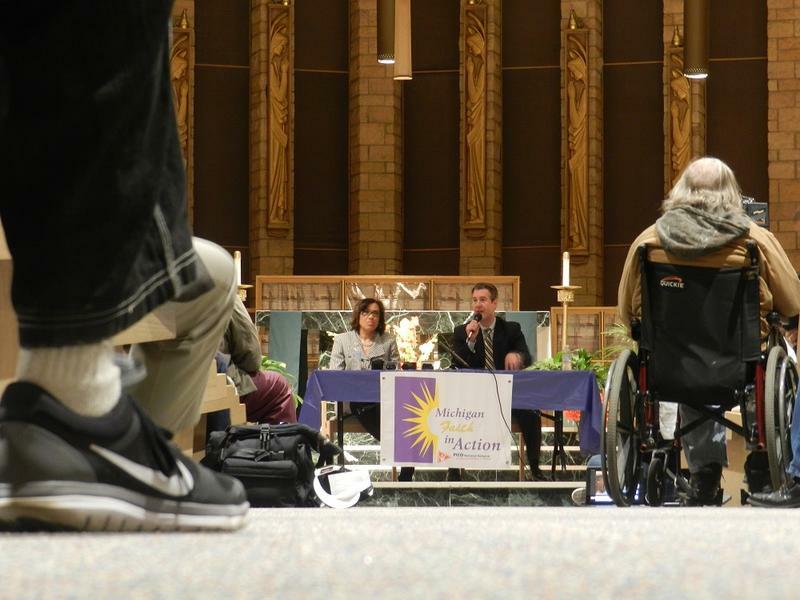 The moderators questioned incumbent Mayor Dayne Walling and challenger Karen Weaver for over an hour on several issues. But the main issue was Flint’s ongoing water problems. Since switching to the Flint River for the city’s drinking water, there have been numerous problems, including elevated lead levels in the water at many Flint homes. Today was the last day for Flint residents to register to vote in next month’s mayoral election. But some people in Flint don’t want to wait for a change at city hall. Chanting “Walling gotta go,” a small group of protesters marched in a circle outside Flint city hall. A candidate for Flint mayor wants the federal government to investigate the city’s problem plagued water system and how city officials have responded to those problems. 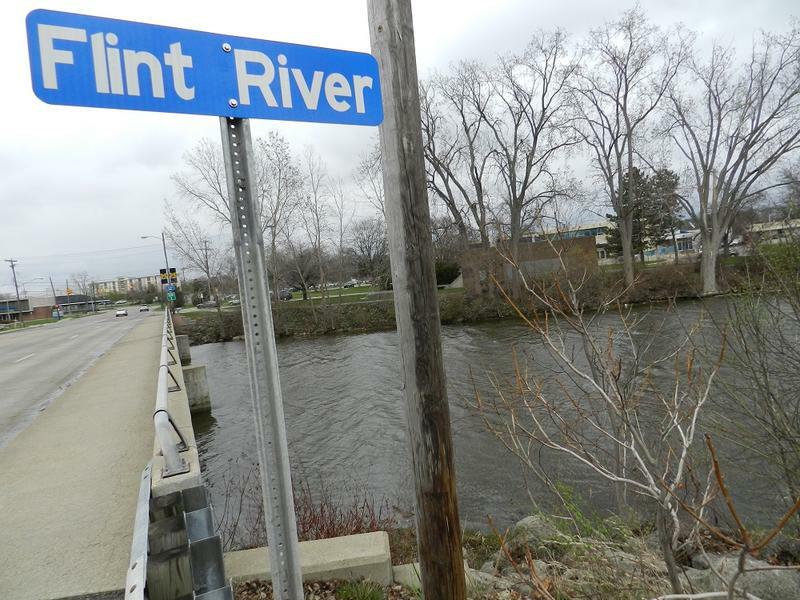 Residents have complained about the city’s water since a switch last year from Detroit water to the Flint River as the source. The latest concern has focused on lead levels. Flint Mayor Dayne Walling will get a chance to keep his job, though he would first have to defeat a political novice in November. 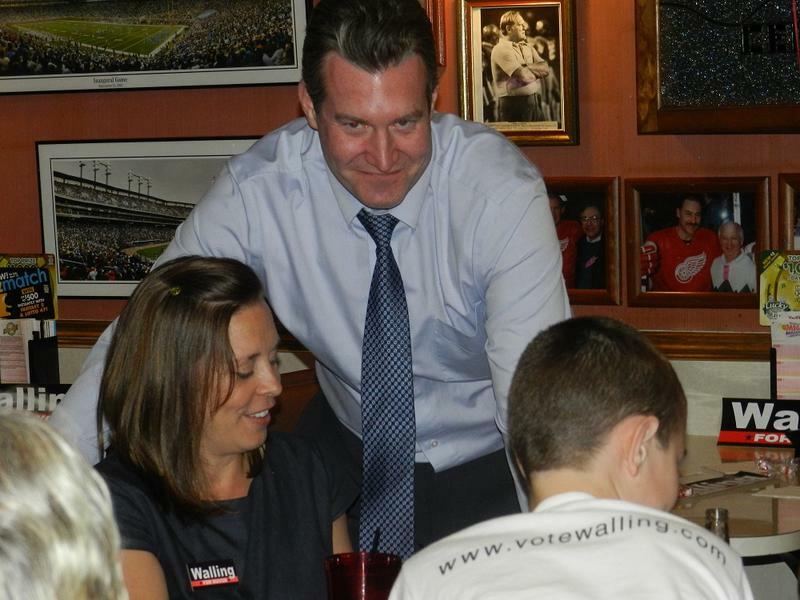 Walling finished first in Tuesday’s mayoral primary. Flint is going back to Detroit water. The state, the city and the Charles Stewart Mott Foundation together are kicking in $12 million to shut off the tap to the Flint River. A year and a half ago, city leaders stood in Flint's water plant and raised plastic glasses to toast the city’s switch to the Flint River. 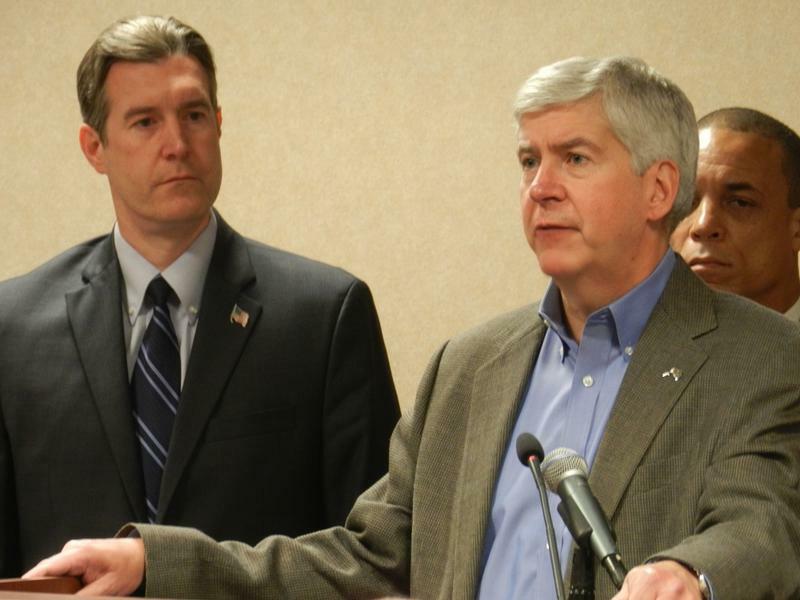 Eighteen months later, Governor Snyder has announced the end of the Flint River experiment.